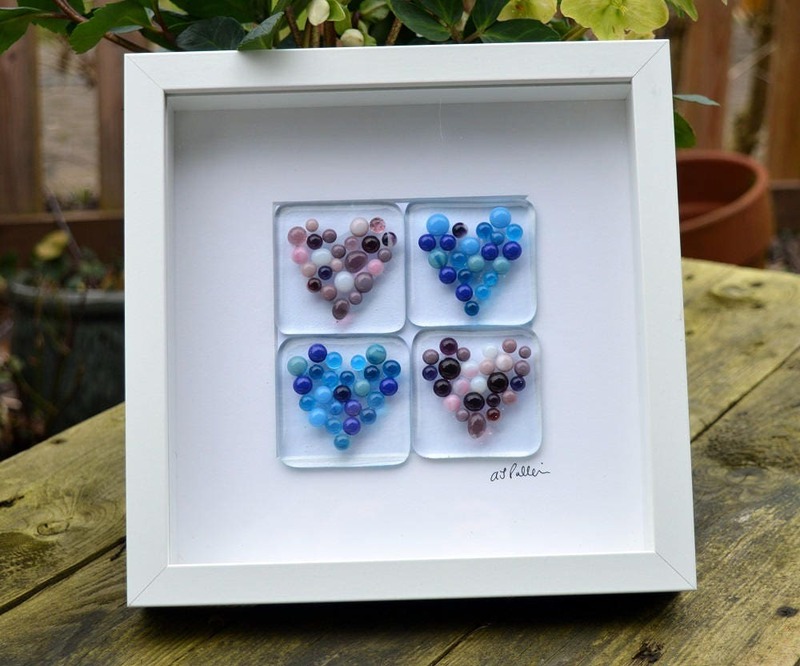 Four fused glass tiles framed in a white boxed frame measuring 25.5 cm square. 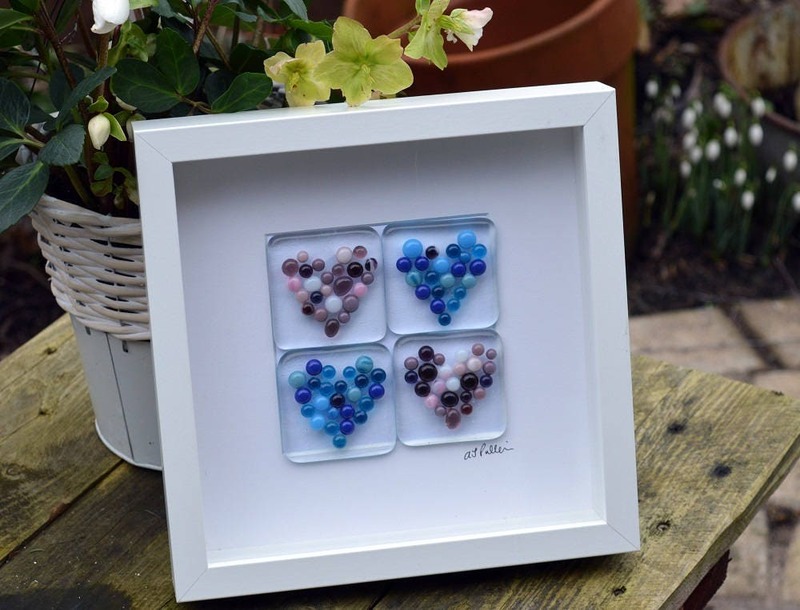 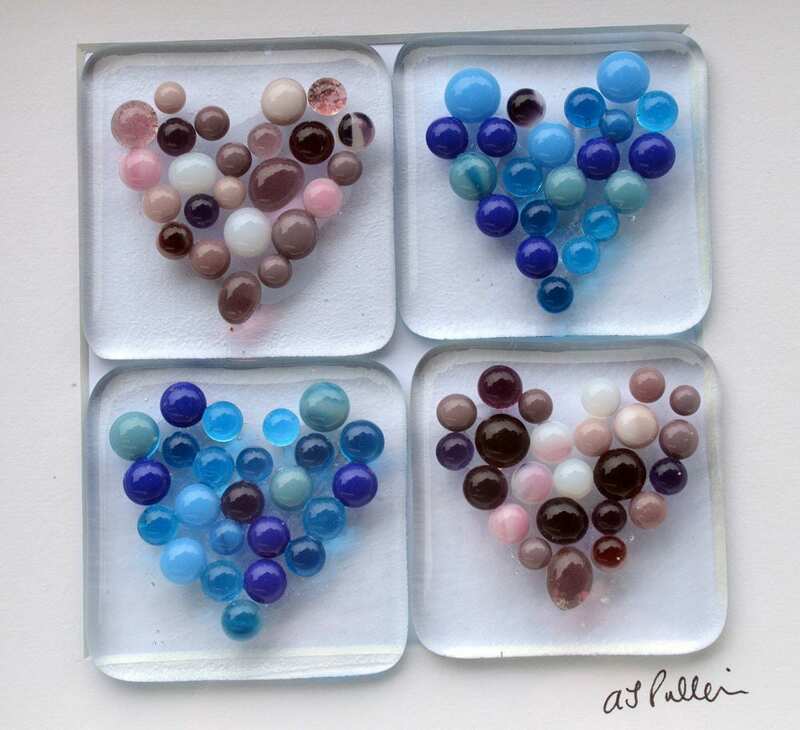 The four tiles have pink and blue glass pebbles in various shades fused to a clear background in heart shapes. 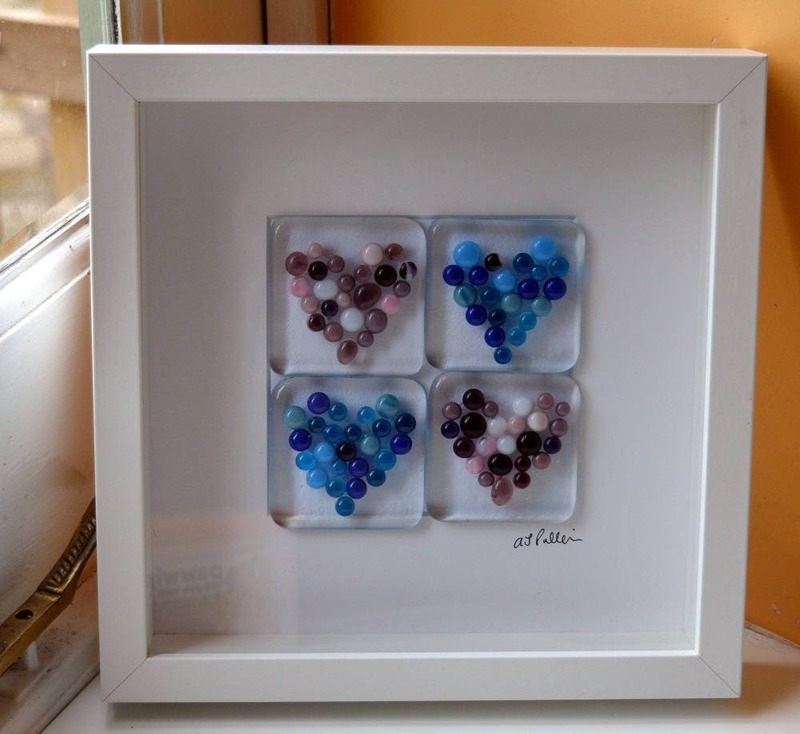 Perfect for valentines, wedding, engagement, anniversary or babies room. 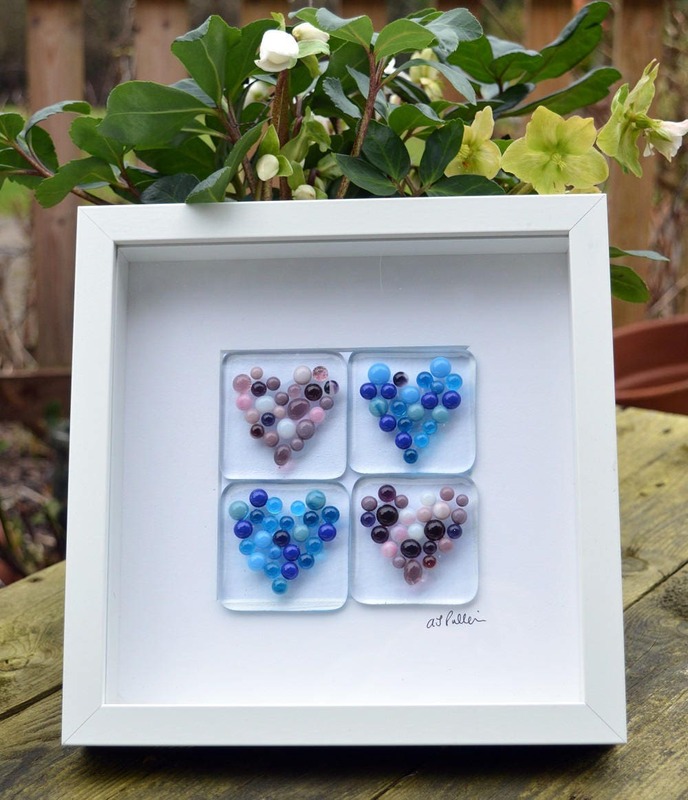 Custom orders may be possible, please message me.